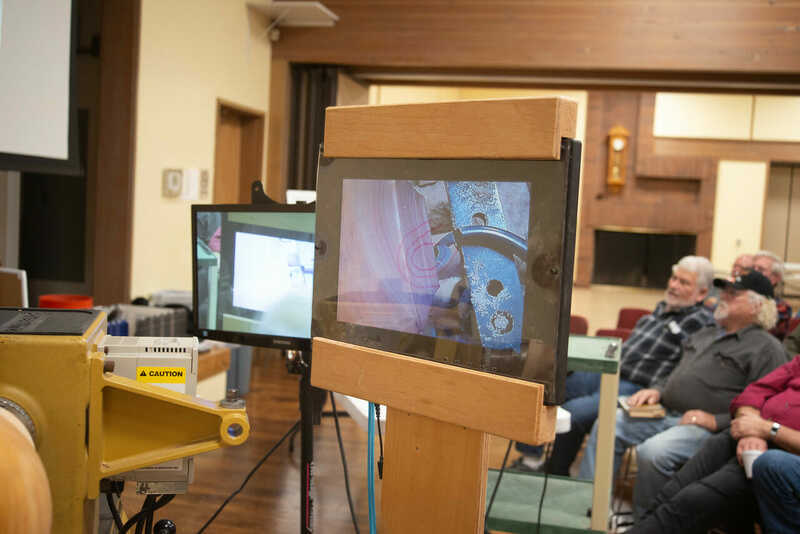 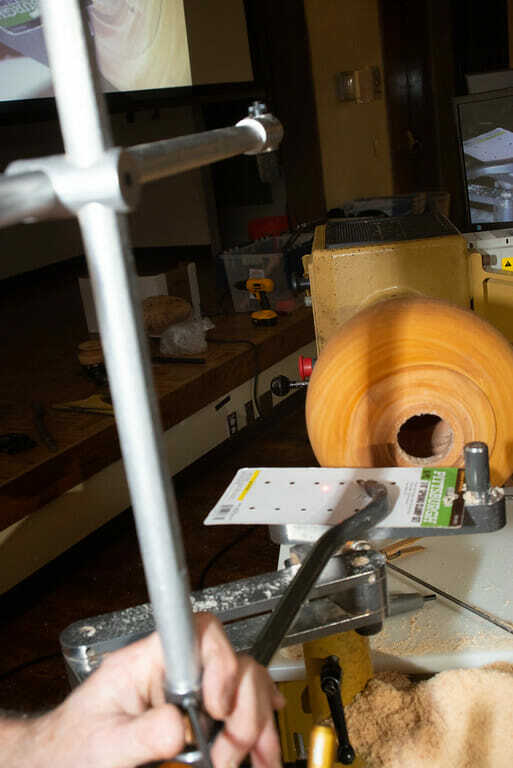 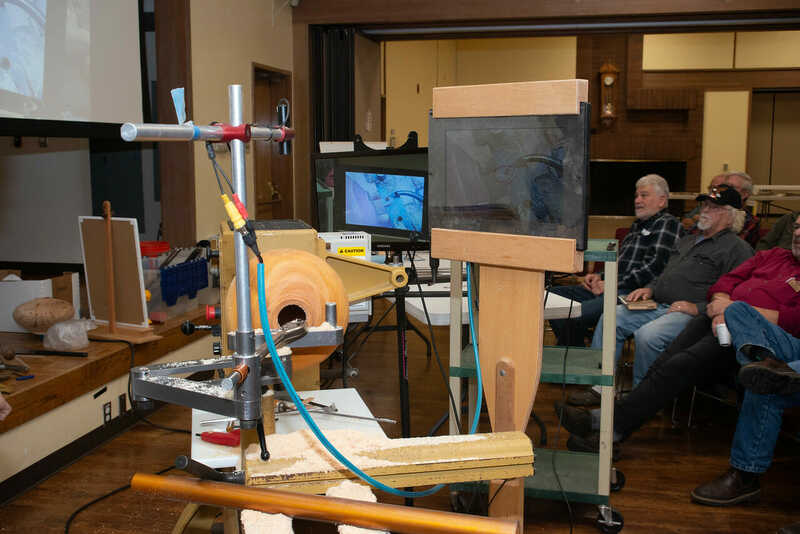 Dave Best will be on the big lathe showing how his video camera guided hollowing system works. 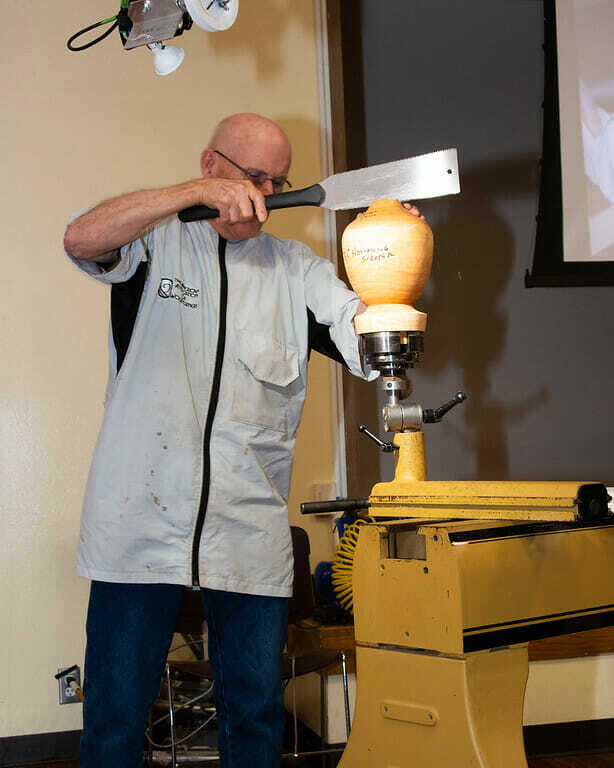 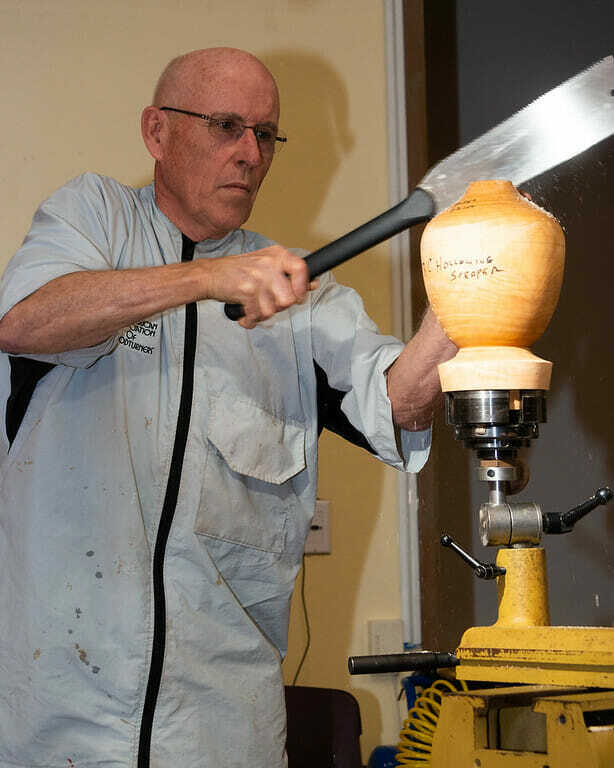 Harry Lincoln will show us all how he glues up the blanks for his beautiful segmented pepper mills. 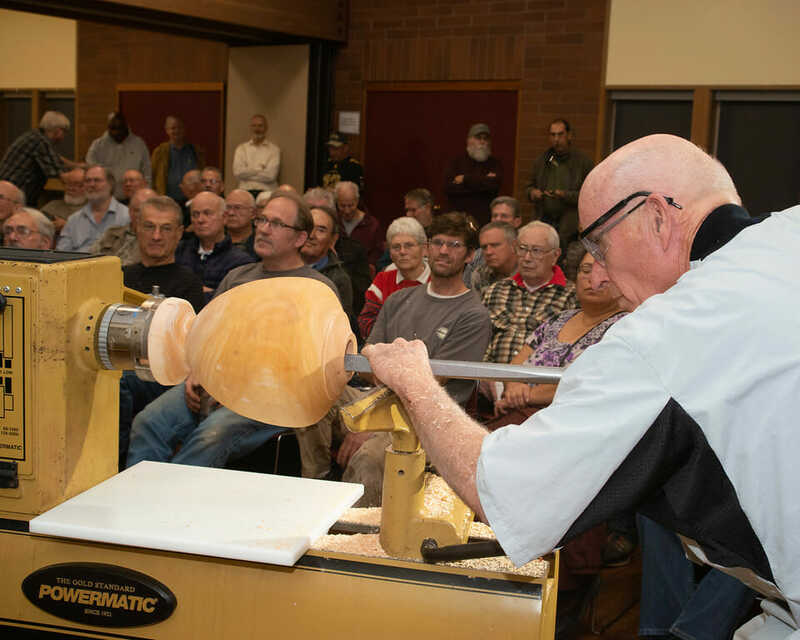 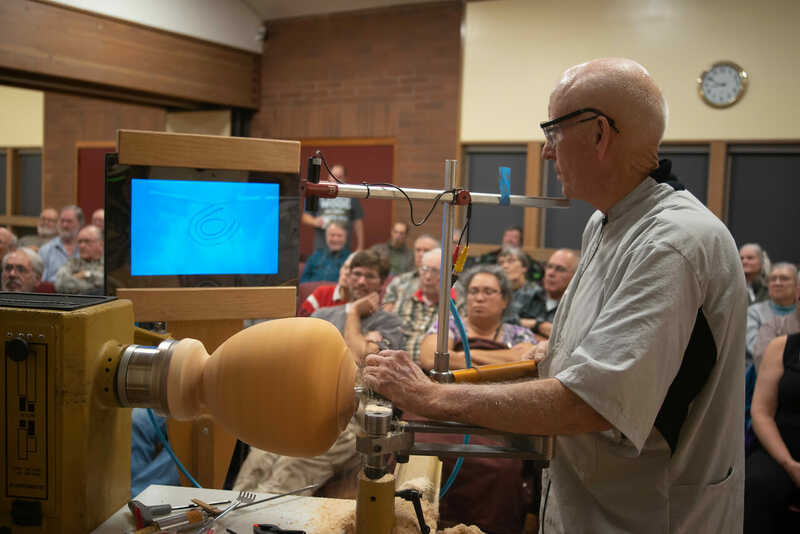 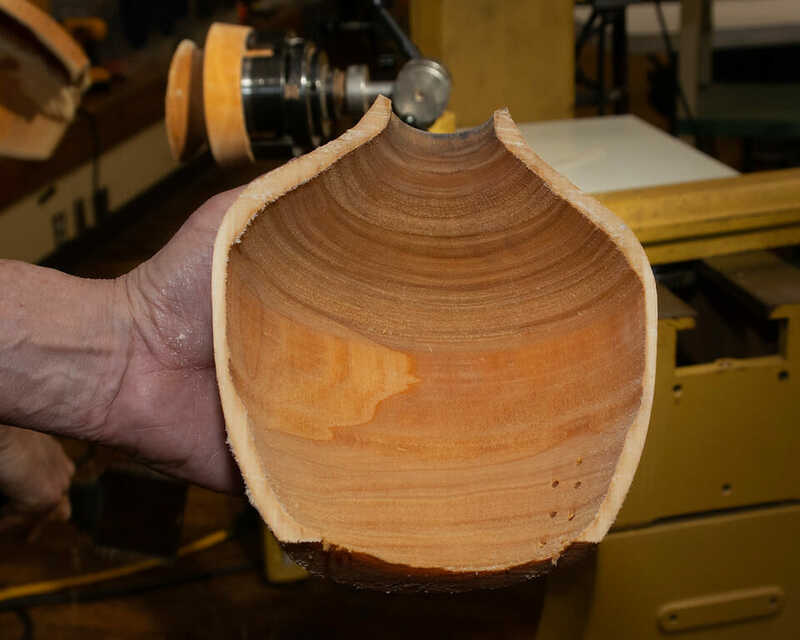 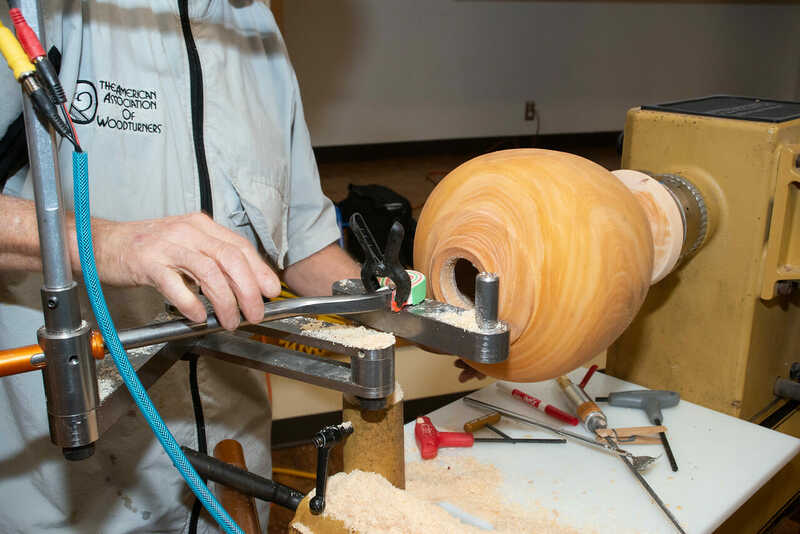 Jeff Marshall will demonstrate bottle stoppers and other entry level lathe projects especially suitable for newer turners. 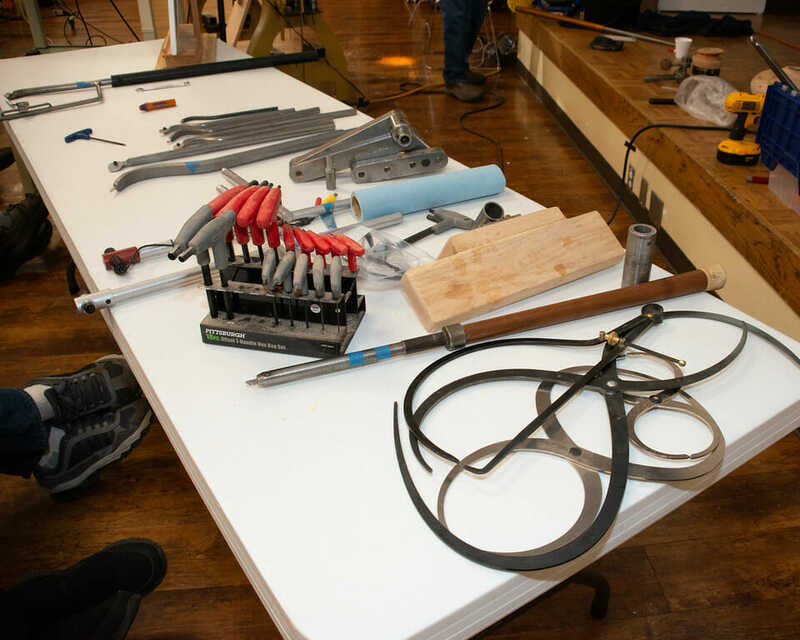 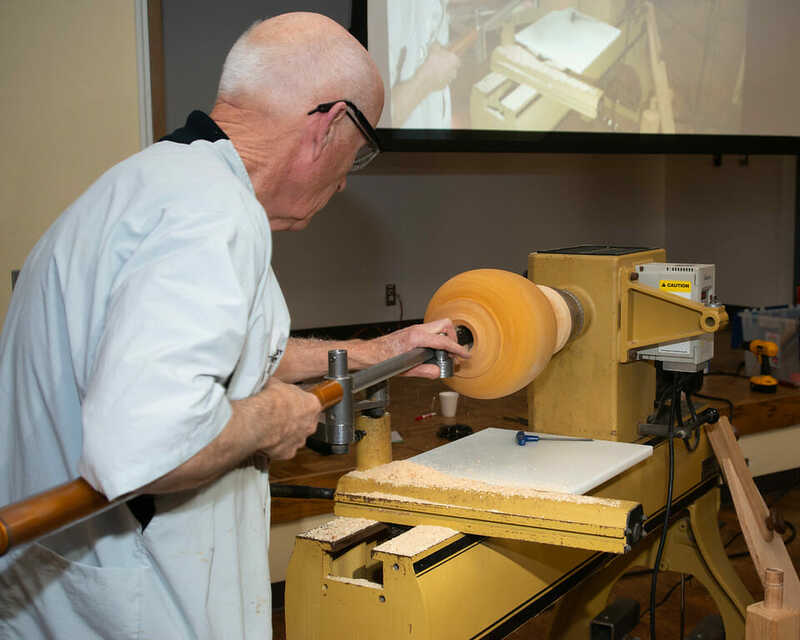 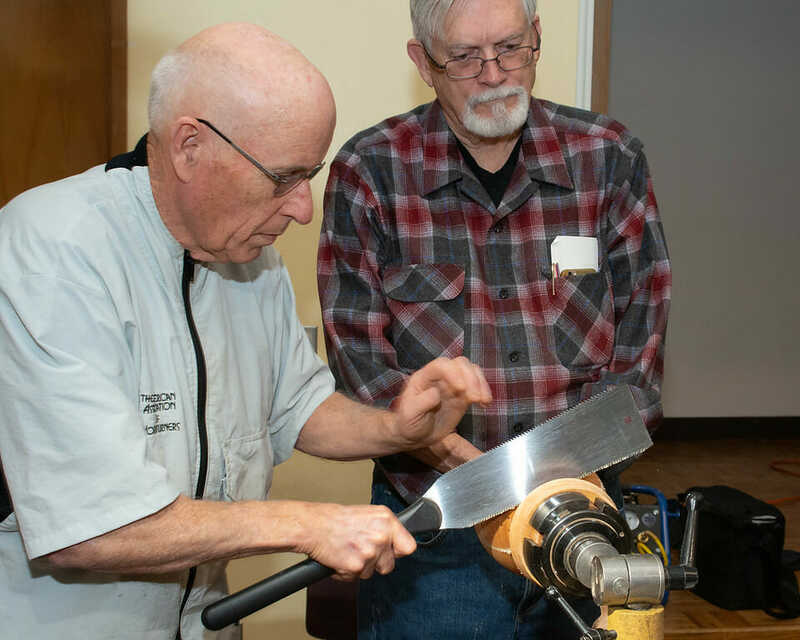 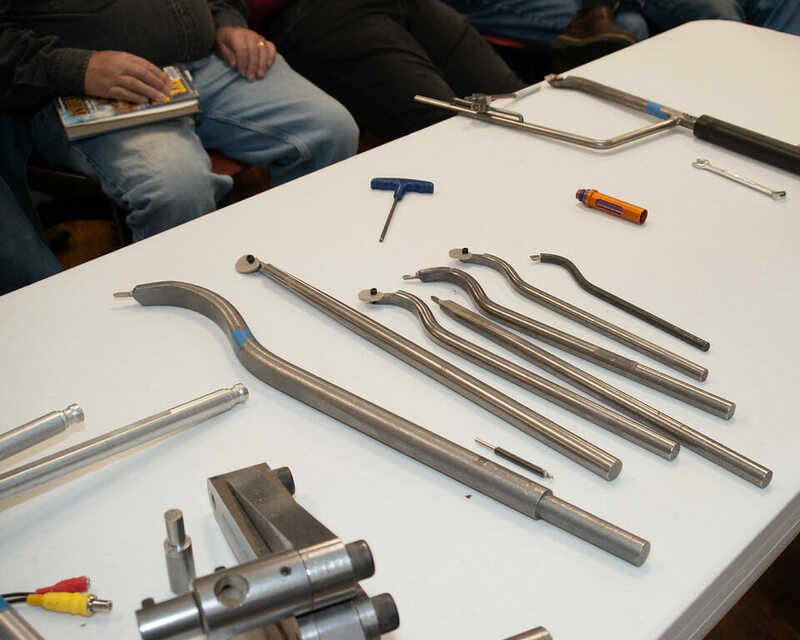 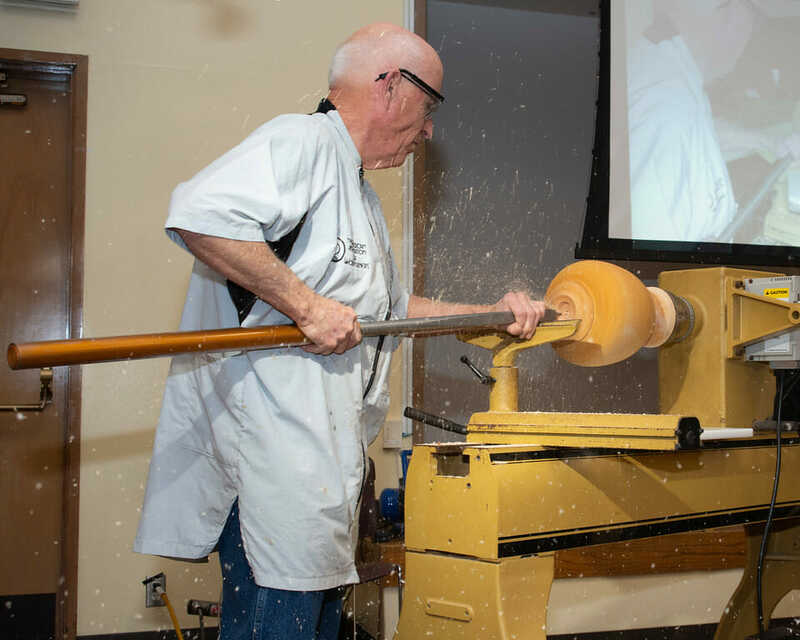 Pat McCart will demonstrate sharpening, so bring some tools that you need to learn how to sharpen. 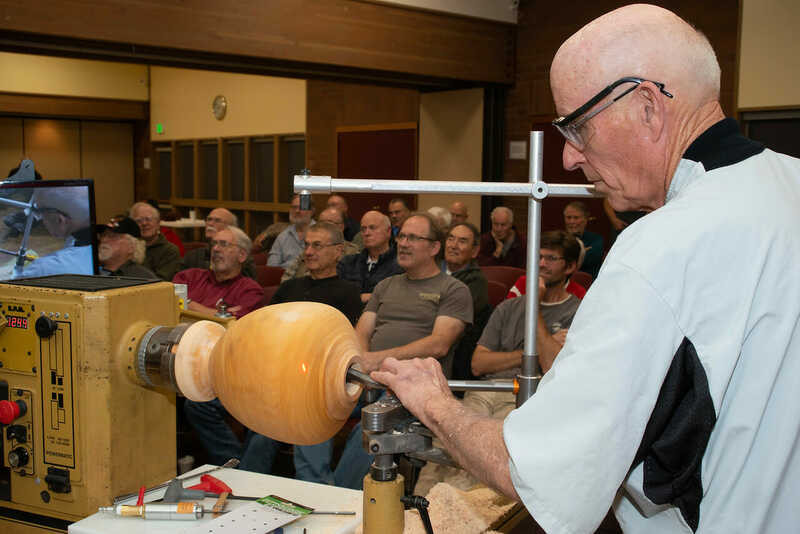 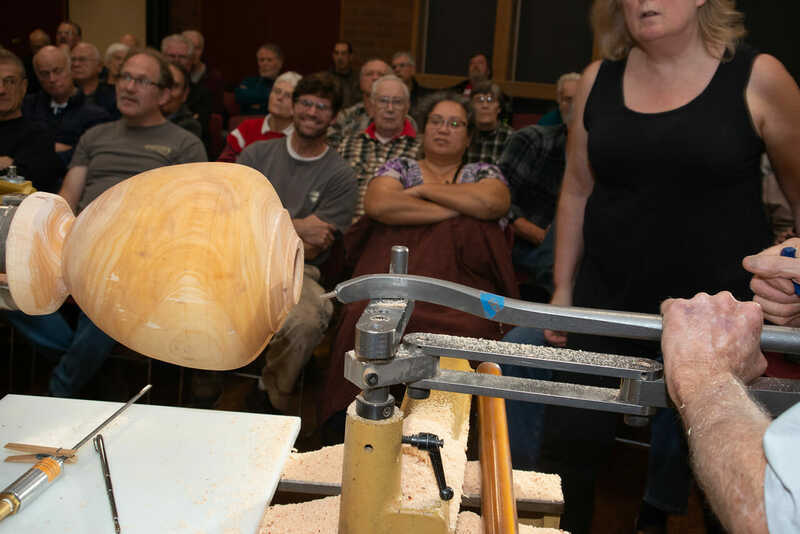 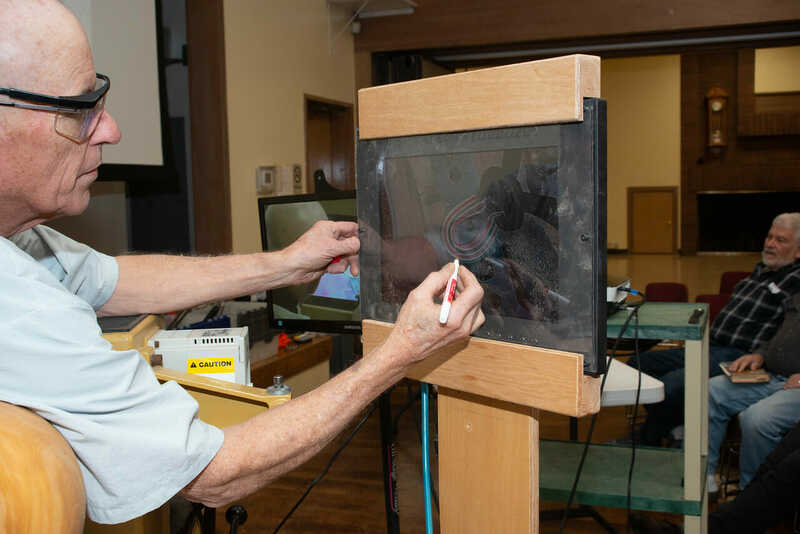 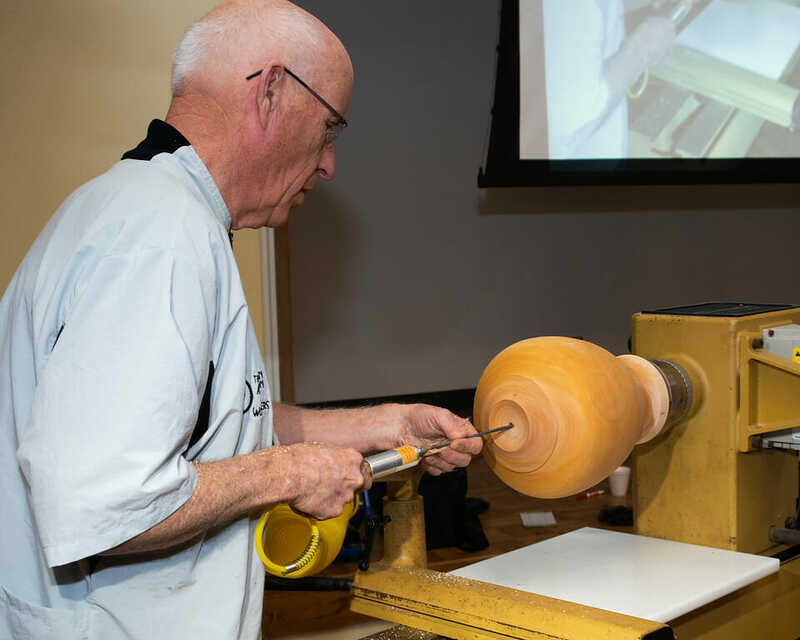 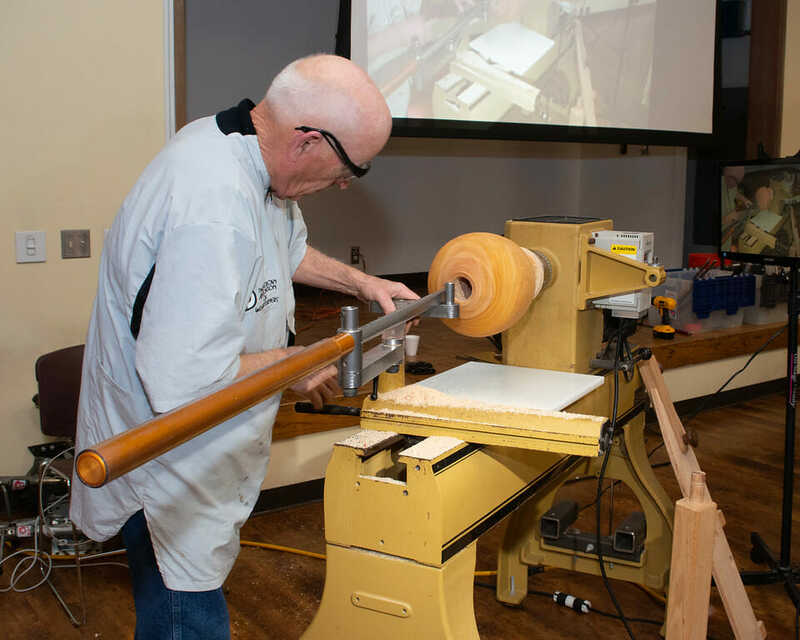 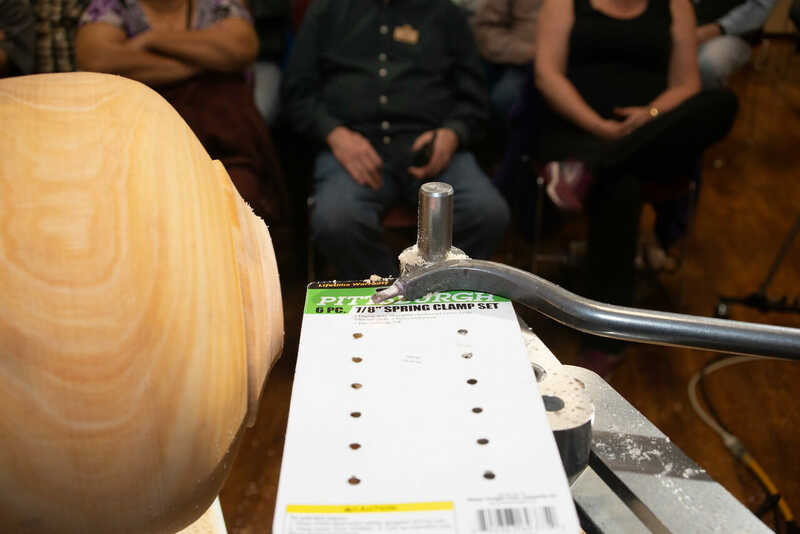 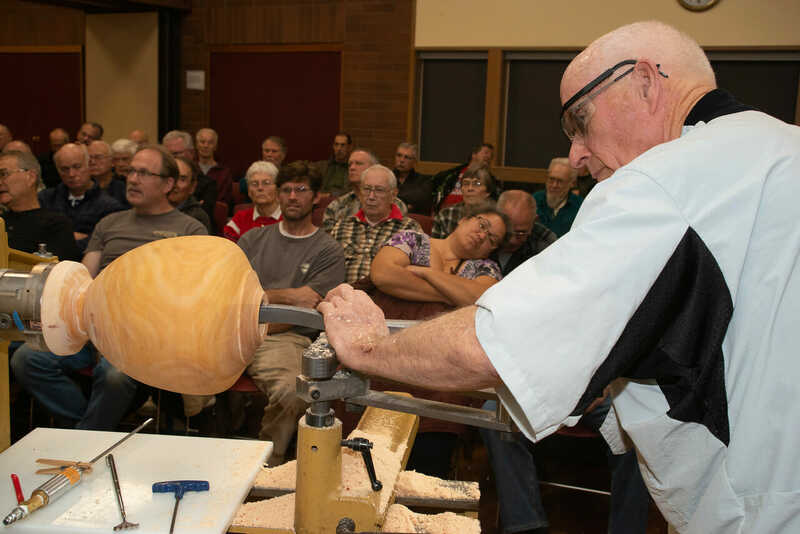 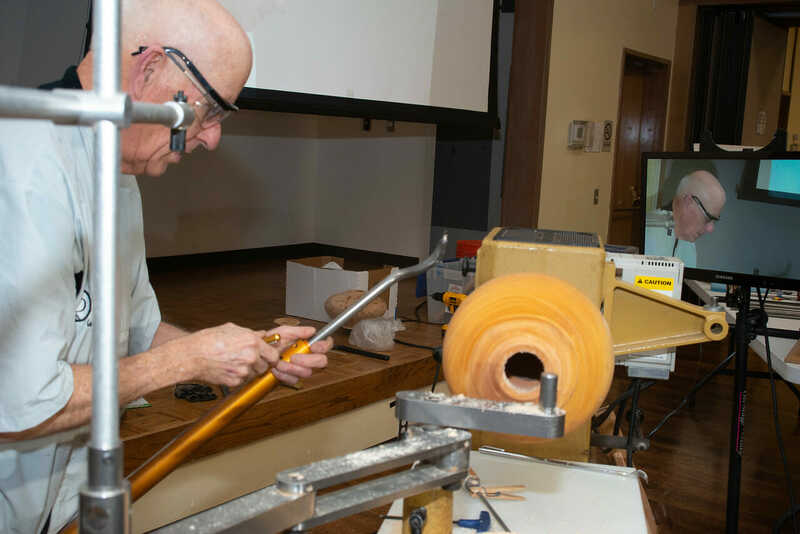 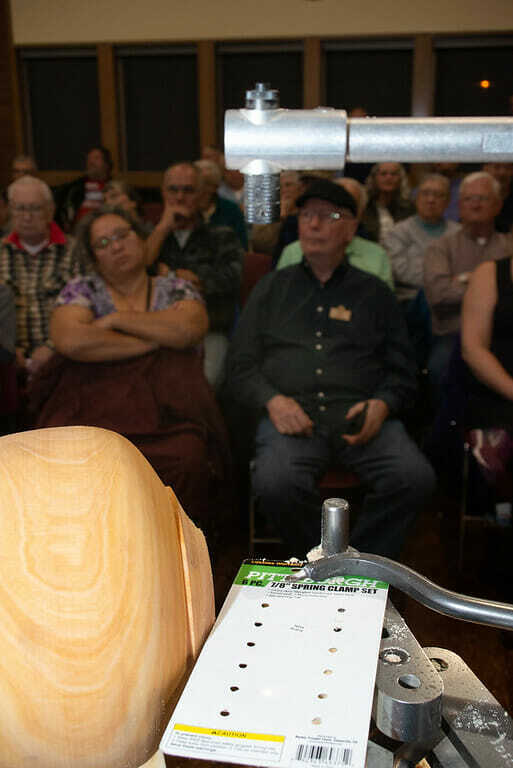 John Howard will be showing how to add stone inlay to some of your turnings. 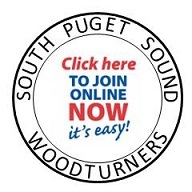 Tim Spaulding, our webmaster, will be there to help people having trouble get registered on the website for e-mail distributions and notices. 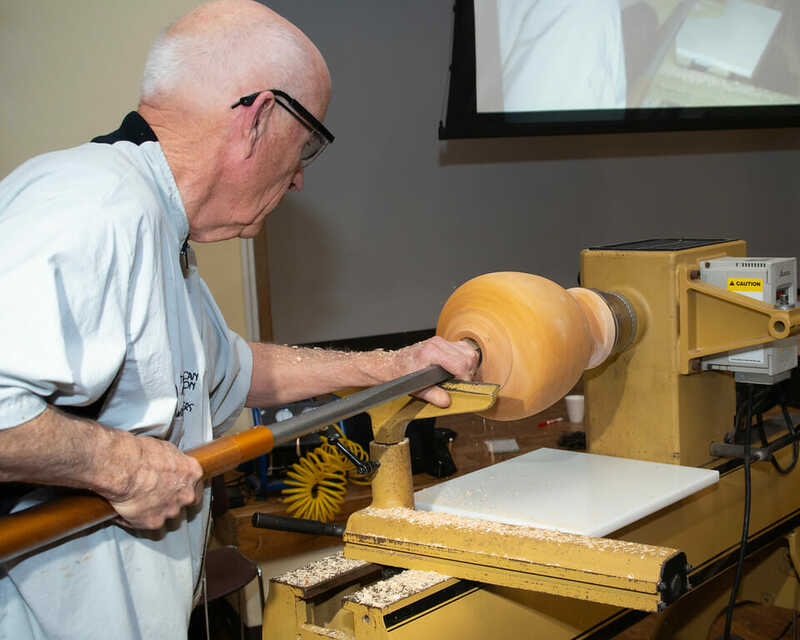 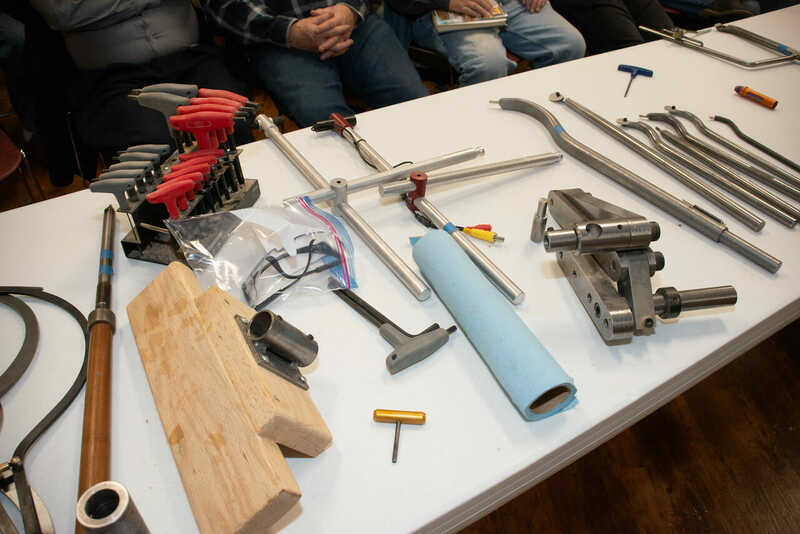 We will also have a tool sales table so you can pass on some of those pieces of woodturning equipment that you don’t use and would like to pass on to the next person. 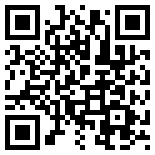 Please have your name and the price on any items you put on that table, so people can find you and get you paid.